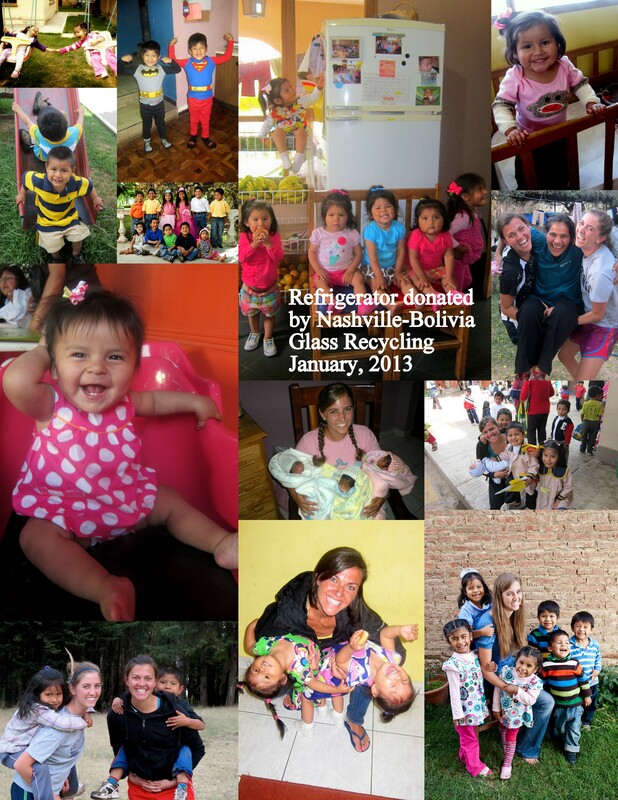 Thanks To You… | ¡Muchas Glassias! 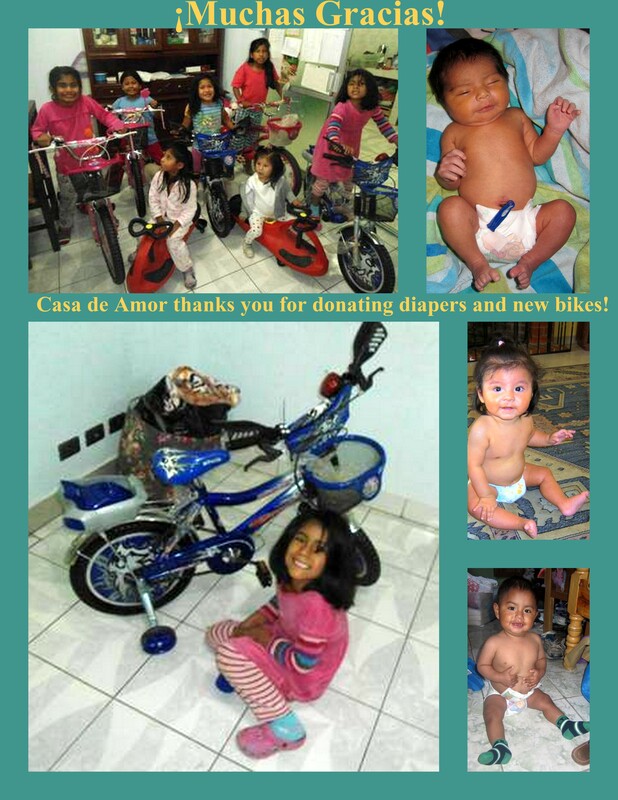 We cannot thank our supporters enough for their generosity toward Casa de Amor month after month. Happy New Year, and Happy Back to School for our oldest Casa de Amor kiddos! The Bolivian school year begins in February each year, and thanks to your donations we were able to provide every student with a new backpack, uniform, shoes, and all of the other necessary school supplies for the year. We had some VERY excited preschool, elementary, and middle school students ready to kick off another year at school. Thanks for adding to their excitement! Merry Christmas, and happy 2016! 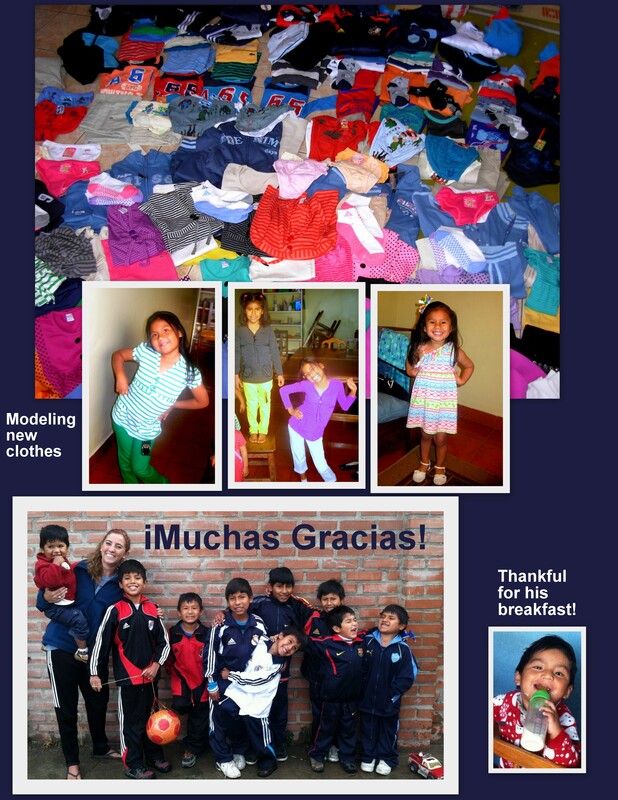 Thank you for helping provide Christmas gifts in Cochabamba. We are grateful for your support throughout this year and look forward to a new year! Cliver is a sweet 4-year-old little boy who was born with a congenital heart defect. This quarter, proceeds from Muchas Glassias went directly to his surgery costs. His surgery was performed successfully in August, and we are happy to report that Cliver is back at home and thriving. We are thankful for his health and for each of you. 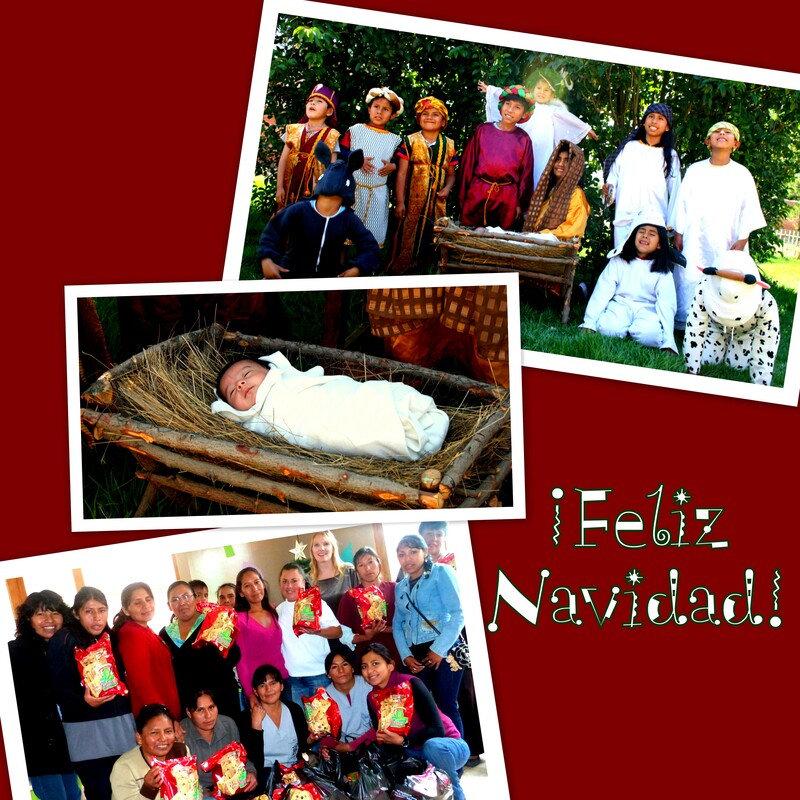 We often try to remember the hard-working staff of Casa de Amor with our contributions. This quarter, we gave toward staff salaries. On behalf of the care-givers who pour out themselves to Casa de Amor’s children on a daily basis, thank you for your generosity! This Spring, your ¡Muchas Glassias! 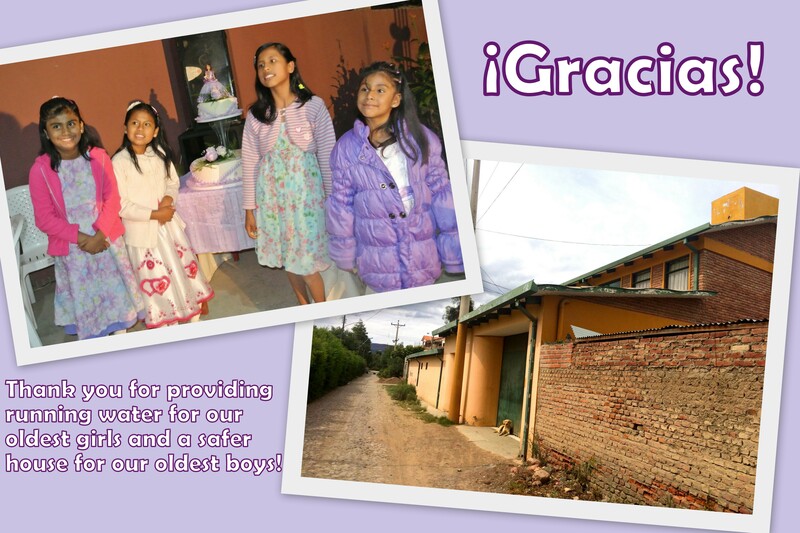 donations provided services to both the oldest girls’ and oldest boys’ houses in Cochabamba. The boys’ house, (also pictured,) has numerous windows and doors that are broken and a safety concern for both children and staff. Thanks to your contributions, these issues have been resolved, ensuring that Casa de Amor remains as safe and secure of a structure as possible for our friends there. Thank you! Earlier this spring, Baby Eduardo arrived to Casa de Amor. After a time period of difficulty eating, it was found that he required a surgery to prevent reflux. We are thankful for your generosity, as your donations went toward his surgery. 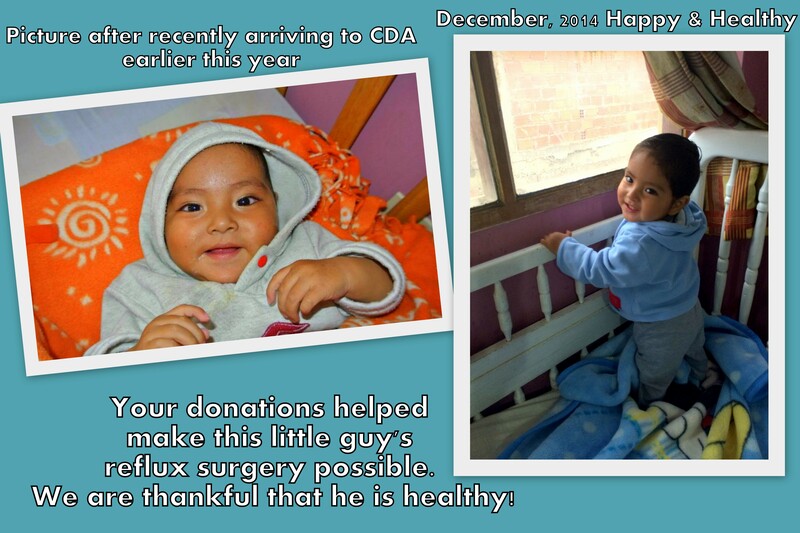 We are also extremely thankful that Eduardo today is happy, healthy, and growing like a weed! 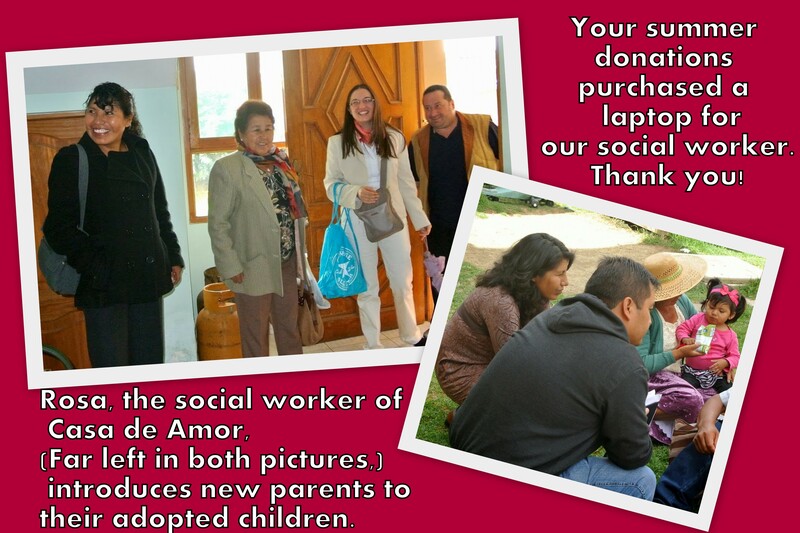 Thanks for providing a new laptop for our hard-working social worker of Casa de Amor. She is who processes all of our children’s paperwork so that they can either be reunited with their families or assigned to a new adopted family! 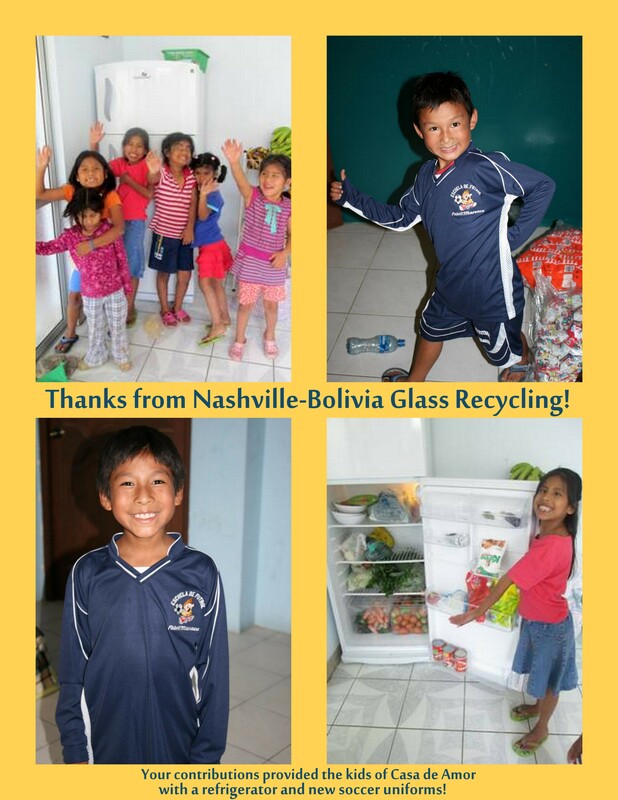 Quarter 2, 2014 – Bolivia has a national Mother’s Day similar to ours in the US, and ¡Muchas Glassias! 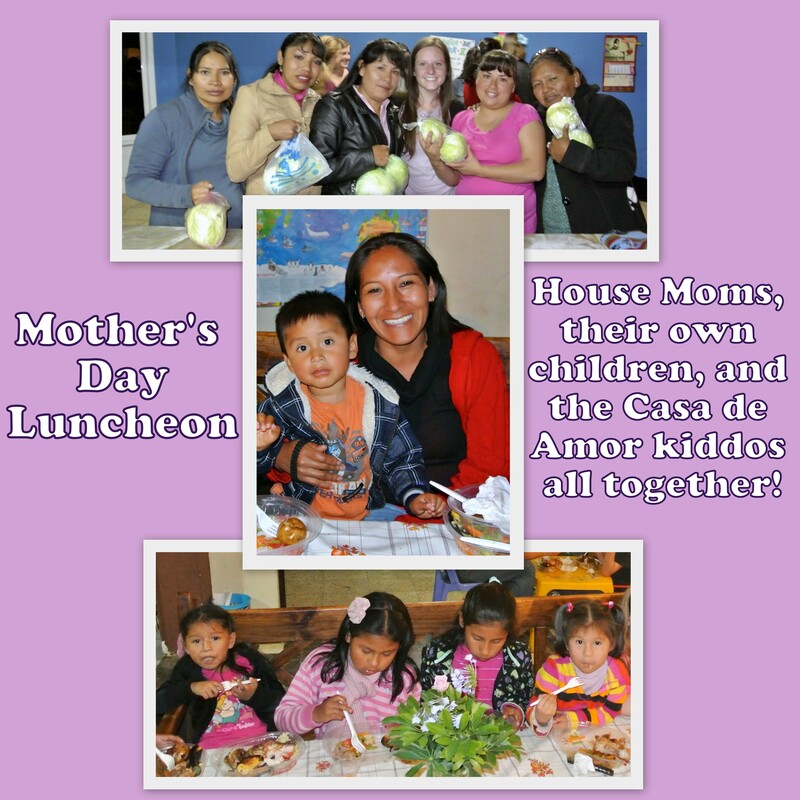 sponsored the annual Casa de Amor Mother’s Day luncheon for children and caregivers. Though the Casa de Amor kids refer to them as “Tias” or “Aunts,” these ladies love the CDA children like their own, (and the feeling is very mutual!) The afternoon entailed lunch, games, and a time of prayer with the Tias, their biological children, and the children of Casa de Amor all celebrating together. Although it may seem unusual to celebrate Mother’s Day with the kids at Casa de Amor, those who are old enough to attend school in Cochabamba are very aware of the national holiday and are eager to be included in the festivities. Thanks for helping make this day special for them. 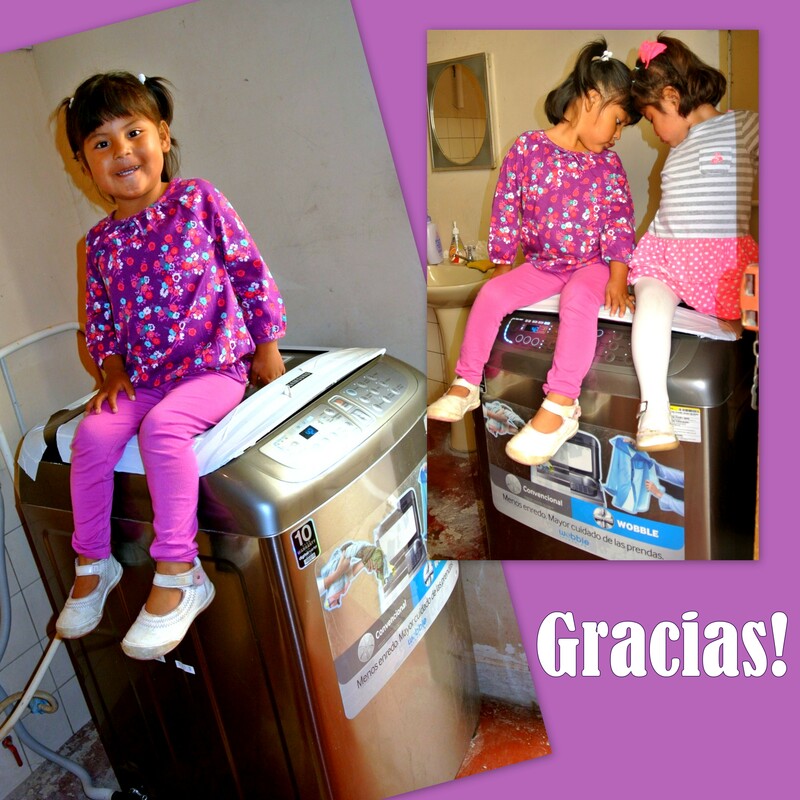 Quarter 1, 2014 – donations have helped purchase baby formula and a washing machine at the Baby Home of Casa de Amor.